How to download a landlord P&L report in 13 seconds? I was recently asked how to generate field-by-field, landlord-specific profitability reports using our farm management software. As you can see in the video below, this is easy. A key trait among successful farms that we’ve worked with is their focus on tracking crop-year (accrual) financials. That’s the backbone of our software. 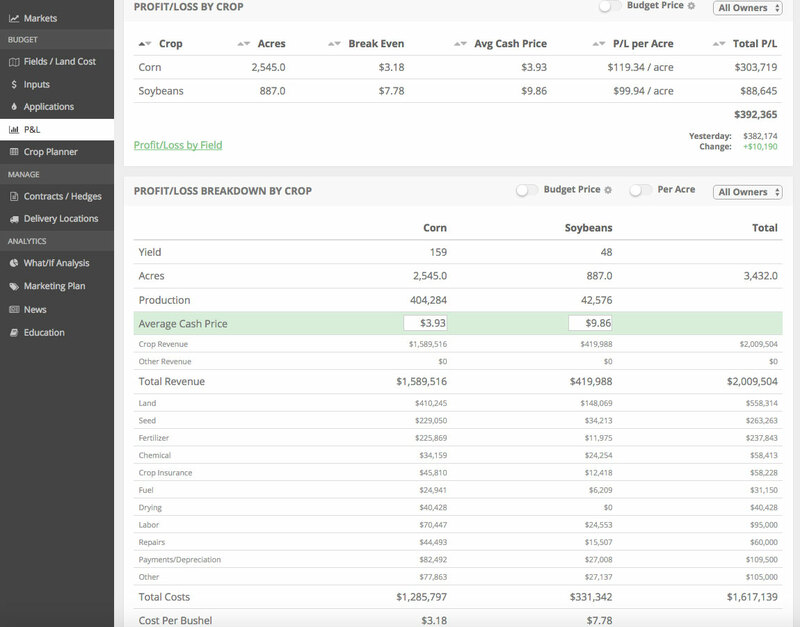 We allow you to build a crop-year budget, easily update it throughout the growing season, and slice/dice the data as you see fit. As you know, your farm is dependent on many business partners. With landowners being a key partner in your operation. Rather than discussing coffee shop rental rates with your landlords, our software allows you to have objective and numbers-based negotiations with these key partners. If you’re interested in partnering with a team who’s sole focus in helping you build your long-term equity, give our software a try. We don’t have seed or chemical to sell. We are focused on building you tools that allow you to manage your farm like the “big business” that farming has become. If you’d like to try a free trial of our software, simply click the button below.